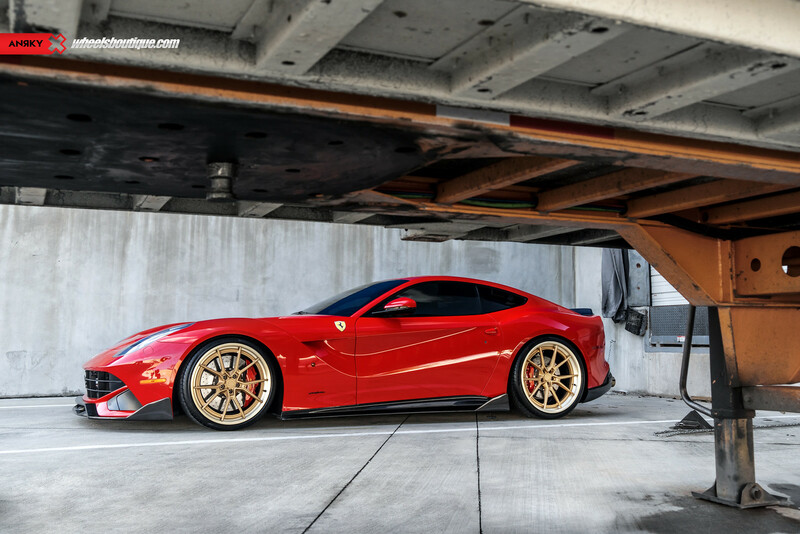 Hard to imagine we know, but every now and then a supercar owner gets bored with his exotic. With so many aftermarket options available making a decision can be a bit overwhelming for sure. 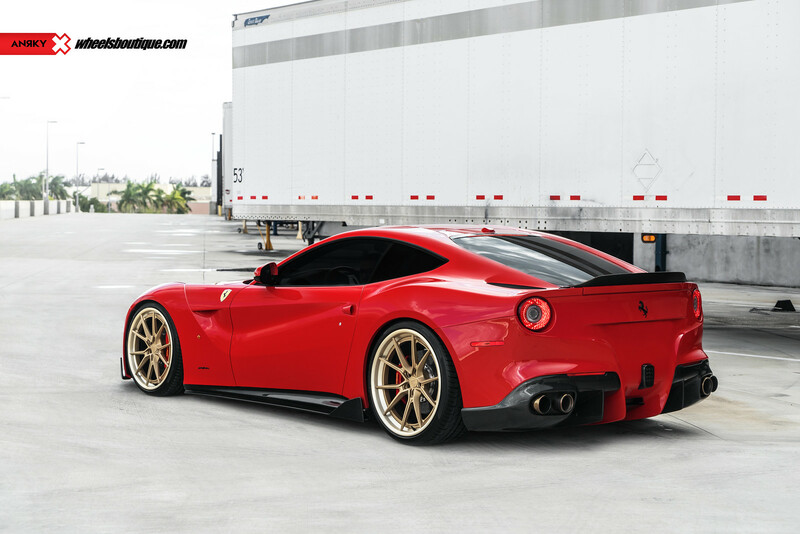 But fret not wearied exotic owner, we’ve got a great illustration of exactly what to do when you want to take your F12 to a whole new level. The 3-Piece ANRKY AN32’s that are installed are available in more traditional 20”//20” & 20”//21” setups but we love the look of a 21” front and 22” rear on this front-engined V12. Hidden hardware was chosen so that the eyes stay focused on the split 5-spoke design. 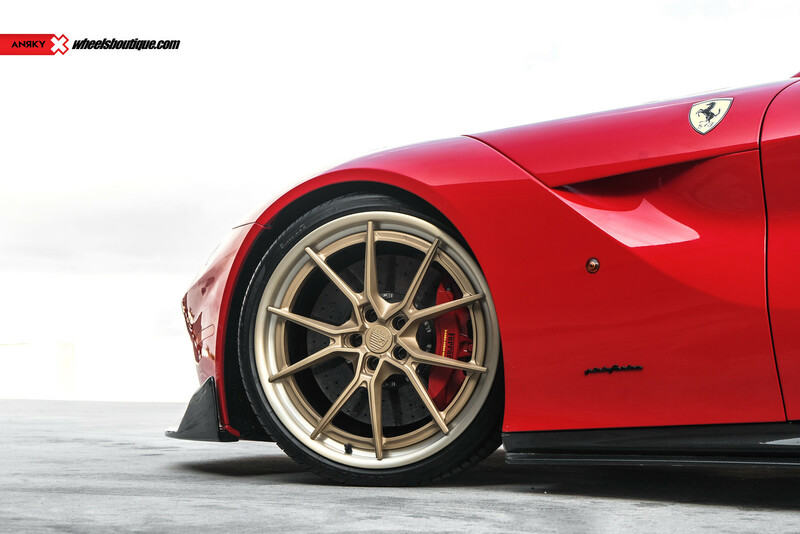 A contrasting Satin Gold center with Brushed Gold lips works exquisitely against corsa red… as it has for decades. 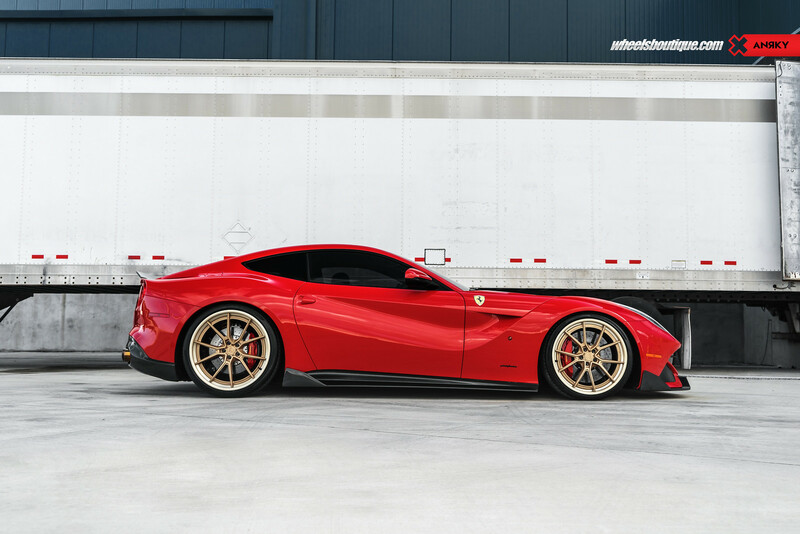 The iPE Titanium system not only brings this supercar’s F1 DNA to the forefront, amplifying that unmistakable exhaust note, but it also produces massive power gains and sheds significant weight. 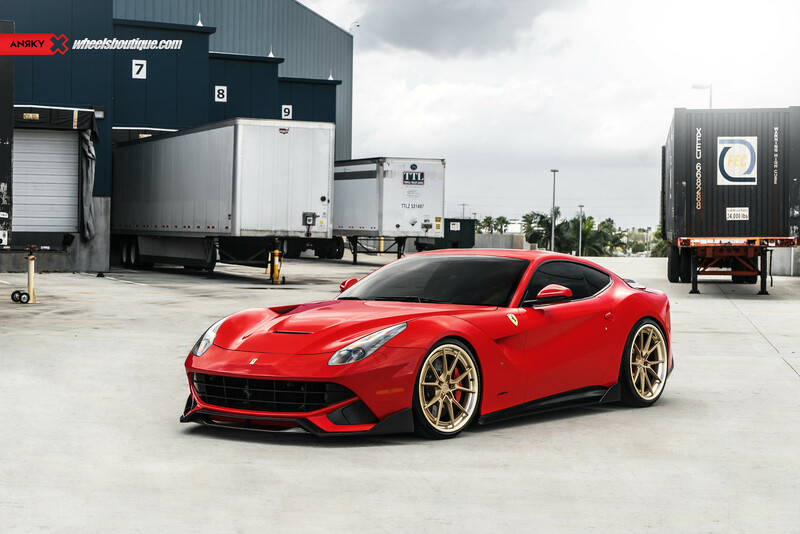 It’s a win-win-win scenario that has made this unit a top seller since sound clips of this F12 made the rounds on social media. 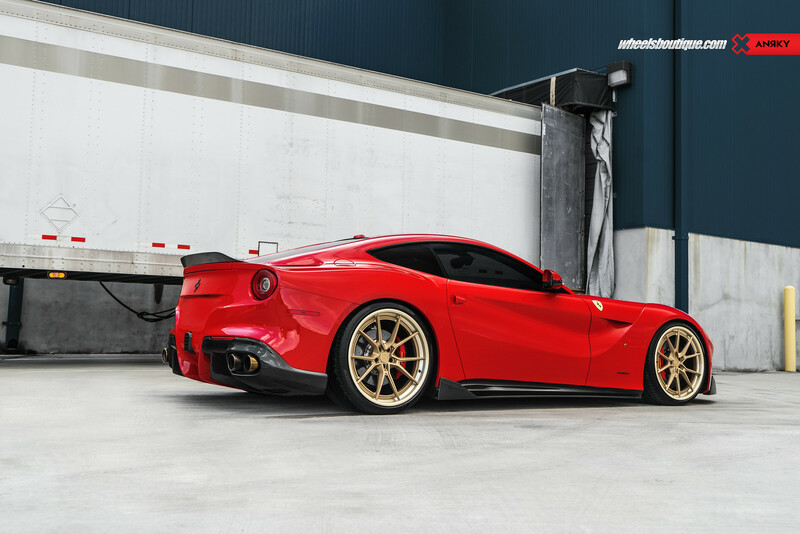 Sprinkle in a bit of aggressive carbon fiber along with proper fitment and height reduction and you’ve got yourself a completely different prancing horse than what came off the showroom floor. 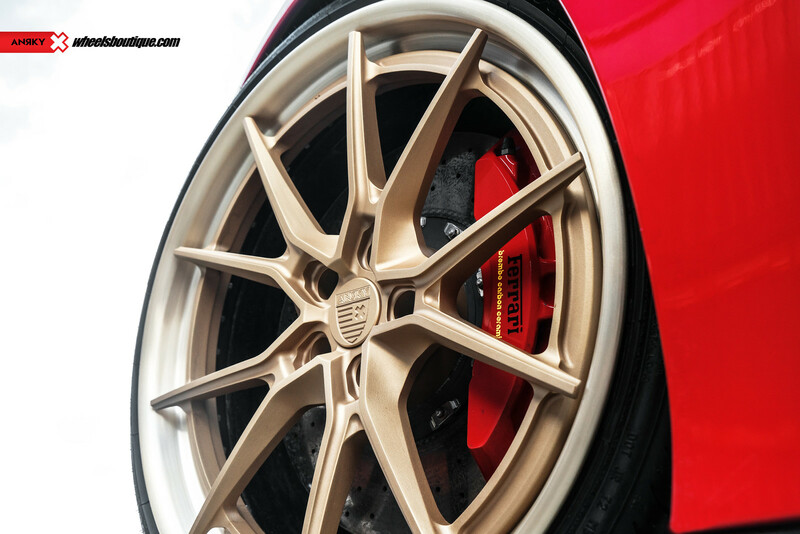 Contact us for details, availability, and pricing on ANRKY Wheels, Pirelli Tires, & iPE Performance Exhaust. Tell us what you think by commenting below!